Florida Poll: Gillum +7, Dead Heat In Senate Race - Joe.My.God. 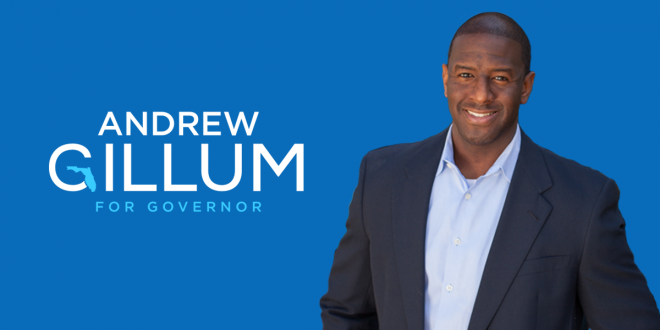 A new poll released Wednesday shows Andrew Gillum ahead of Ron DeSantis by seven percentage points in the race for governor, while the U.S. Senate race is still in a dead heat. According to the poll, 42 percent of respondents said they would vote for Gillum, the Democratic nominee, while 35 percent chose DeSantis, the Republican. Gov. Rick Scott and incumbent Sen. Bill Nelson received 38 and 36 percent, respectively, showing a possible edge for Scott but still a very tight race. Trump is privately lashing out at one of his top allies, Ron DeSantis, angrily accusing the Florida Republican gubernatorial nominee of publicly betraying him. The president has told close associates in recent days that he views DeSantis — who won his Aug. 28 GOP primary thanks to Trump’s strong support — as profoundly disloyal for distancing himself from the president’s assertion that the Hurricane Maria death toll was inflated by Democrats for political purposes.